Informant America: Will 2016 be Rick Wershe's year for justice? Will 2016 be Rick Wershe's year for justice? For nearly a year Informant America has been documenting the falsity of the legend that Richard J. Wershe, Jr. was a drug lord and kingpin in Detroit’s criminal underworld in the late 1980s. The myth has persisted for nearly 30 years. It has calcified and turned to stone. Perhaps 2016 will be the year that the legend of White Boy Rick dies and the man, Richard J. Wershe, Jr., finally gets justice and release from his life prison term. There’s an old saying; the more things change the more they stay the same. The credit for that observation goes to Jean-Baptiste Alphonse Karr, a French journalist and commentator in the 1800s. That’s certainly true of police corruption in the costly fiasco we call the War on Drugs. Over the holidays Detroit News police beat reporter George Hunter wrote a story about an attempt on the life of a federal informant who provided evidence against two Detroit narcs who are under indictment for stealing drugs from drug dealers and giving the contraband to selected DPD informants to sell. The federal informant was shot while driving on a Detroit freeway. Hunter reports the informant against the indicted cops and other witnesses have been relocated for their safety. The indicted police officers, Lt. David “Hater” Hansberry and Bryan “Bullet” Watson are accused of robbing Detroit drug dealers and keeping the drugs which they allegedly gave to favored informants to sell. This kind of thing is not new. It has been going on for decades. In street jargon it is known as tippin’ and rippin’. Corrupt cops “tip over” or raid a suspected drug house and steal or rip off the drugs they find. The raid is off the books. There’s no court-authorized search warrant, there’s no evidence trail or paperwork filed. Officially the raid never happened. It is armed robbery by the police, plain and simple. It’s done by narcs sworn to uphold the law. Guys who swagger around cop bars bragging they are on the front line of law and order. Regular readers of Informant America may recall a recent (October 25, 2015) post titled Rick Wershe and the Police Culture of Lying. In that post I wrote about retired FBI Special Agent Herm Groman’s recollection of attending a police party on Detroit’s Belle Isle for a narc who was getting transferred. Groman was Rick Wershe’s FBI “handler” during most of the years Wershe was working as a confidential informant or CI. The Detroit narc who was the guest of honor at the party was known by the nickname Popeye and his “present” from his fellow narcotics officers was a shirt with numerous extra pockets sewn on it. The joke was based on Popeye’s reputation for routinely helping himself to fists full of cash he found during narcotics raids; money he did not turn in as evidence in the aftermath of the raid. Popeye was a thief and his buddies and pals in the Detroit Police Narcotics Section knew it. And they looked the other way as they have done so many times over the years when faced with corruption among their fellow officers. That same post recounted how the late Gerard “Mick” Biernacki, a member of the team that made the drug case against Rick Wershe was known among other cops as “Pinocchio” for his habit of lying under oath in court. Biernacki was legendary for making up whatever he thought would convince a judge and jury. The nickname Pinocchio was based upon a wooden puppet in a famous children’s fairy tale. Pinocchio's nose would grow every time he told a lie. Like the narcs who looked the other way when Popeye would steal money during crack house raids, the narcs who worked with Biernacki looked the other way when he committed perjury, which is a felony. Presumably a cop who commits a felony in the pursuit of law and order is somehow morally superior to the civilian criminals he arrests and sends to prison with perjured testimony. Some people can rationalize anything. These were two tales of police corruption in the 1980s. Another Informant America post, Rick Wershe Jr. and the 10th Precinct Conspiracy recalled a Detroit police narcotics corruption case from the 1970s and noted the parallels between that scandal and the police corruption encountered by Rick Wershe, Jr. when he was working secretly for the FBI. A team of Detroit narcs from the 10th Precinct were indicted and tried on charges of corruption. The leader of the precinct narcotics crew was Sgt. 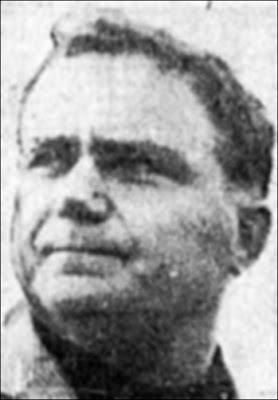 Rudy Davis, who was eventually convicted and sent to prison. The headline of a April 29, 1973 Detroit Free Press profile of Rudy Davis read: "No. 1 Raider's Sideline: Selling Dope to Pushers." The accusations against Sgt, Davis in the 1970s were remarkably similar to the charges in 2015 against Lt. Hansberry and Officer Watson. Yet the public is supposed to believe some Detroit narcs when they claim Richard J. Wershe, Jr. was a drug “kingpin” and a “drug lord” who is a menace to society and should remain behind bars for the rest of his life. In numerous posts last year Informant America has shown there is no factual evidence behind the legend of White Boy Rick Wershe, Jr. It’s a pile of lies intended to make him out to be something he never was. There is ample reason to believe the Detroit/Wayne County upholders of criminal “justice” concocted the White Boy Rick myth to justify keeping him in prison for life for helping the FBI prosecute Mayor Coleman Young’s brother-in-law and some politically wired cops. Rick Wershe is not innocent and never claimed to be. But he’s telling the truth when he says some narcs flat-out lied about his role in the Detroit drug underworld. And Wershe is right to wonder why so many people in today’s criminal “justice” system are working so hard to keep him in prison when others similarly charged have been released on parole. Let me add one final note to begin the New Year. I am not anti-cop. Anyone who knows me knows that. My oldest son is a federal agent. One of my grandsons is in a training academy to become a police officer. I have been the emcee at countless police retirement parties. Cops have been guests in my home many times. They’ve eaten my food. They’ve guzzled my booze. Some are life-long friends. The trouble with me, for some cops, is that I’m a true believer in law-and-order. I believe there is a reason we put the word “law” ahead of the word “order.” I believe following the law and not breaking the law is what separates the good guys from the bad guys. A cop or prosecutor who commits a felony to make a case against a bad guy is just another felon in my book. They all deserve to go to prison. Prosecution and justice are not interchangeable words. In the case of Richard J. Wershe, Jr. he’s been prosecuted but he hasn’t had any justice. Maybe 2016 will be different.